Located on north side of county road 44 , about 1 1/2 miles east of state road 19, in Union township. Sits on a small knoll ,right beside the road. Only four stones still standing . 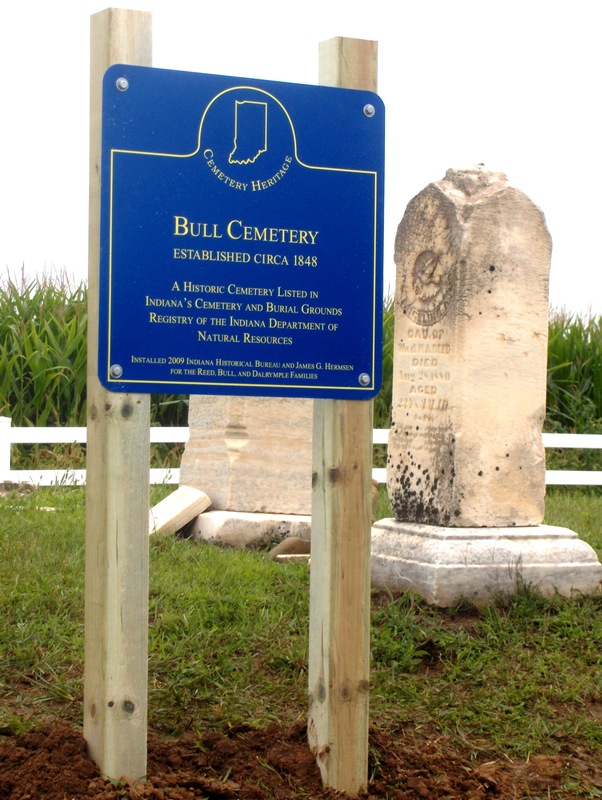 ( Believe this is whtere Stephen Bull first settled when he came to the area. Wm. Reed later owned this tract of land. Started copying from south side of the cemetery and on the west end. Wild roses cover half of this cemetery .